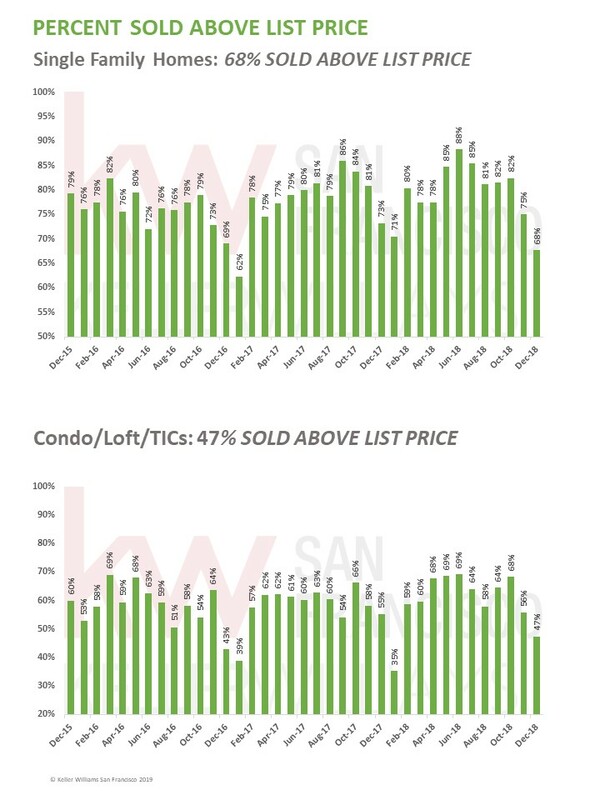 For the first time in seven years, the trend line shifted from up to down for single family home sold prices in San Francisco. They eked out a 0.5% increase* for the year. 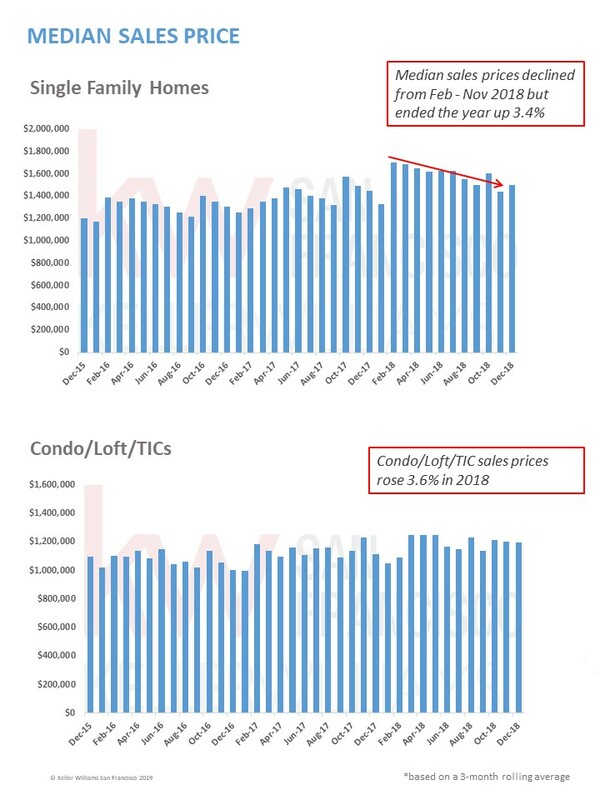 Likewise, median condo sold prices peaked in March and ended the year with an annual appreciation of 3.6%. 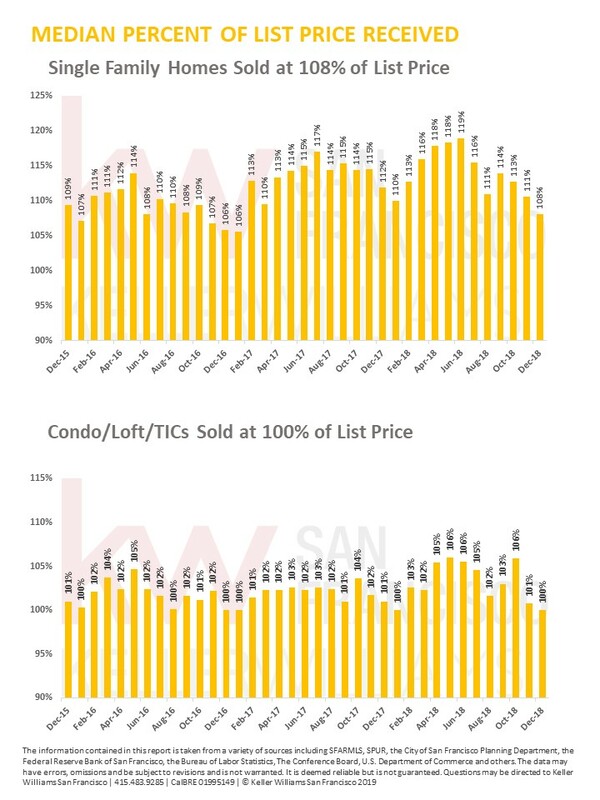 In retrospect, 2018 was probably the start of the leveling off of the very frothy San Francisco housing market. This is a natural part of the real estate cycle, as the affordability gap widens between rising prices and wage gains. Real estate is a highly cyclical segment of the economy and a seven year run of rising prices is a very long up-leg on that cycle. 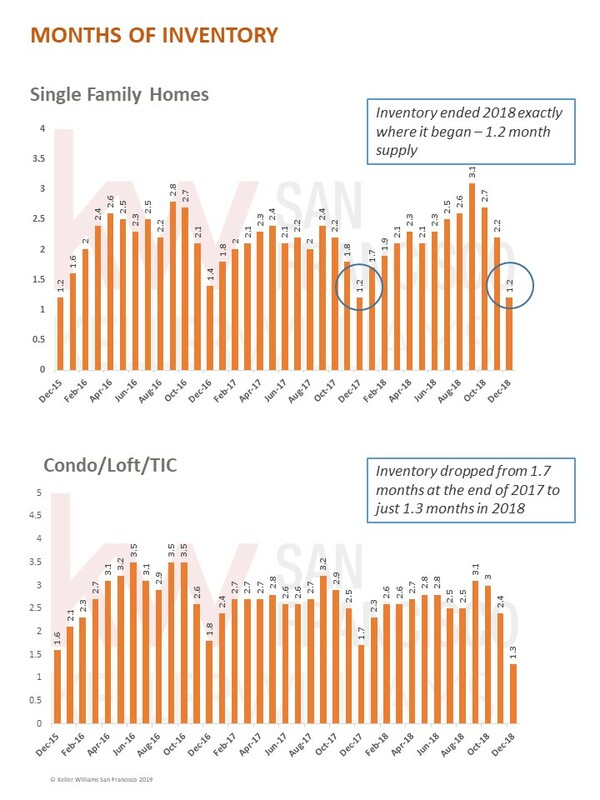 Because inventory remains critically low, it is still a sellers market. 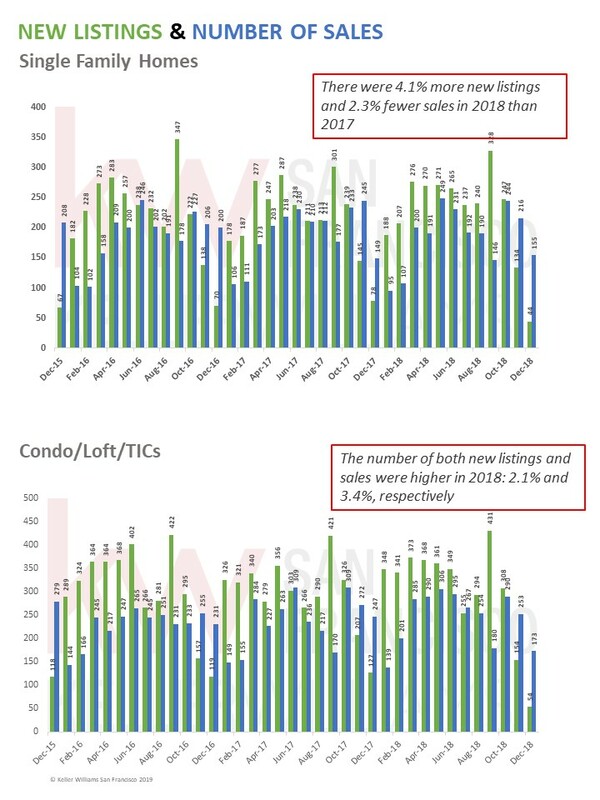 Expect 2019 to remain highly competitive for buyers, but probably with less exuberant overbid levels.